Most people in the UK would consider the Balearic Islands, Spain a holiday destination. With consistently hot temperatures, a profusion of beaches and an apparent nightlife like no other, it is easy to see how Ibiza, Majorca and Menorca became a holiday favourite. Not for me however. Whilst most people my age were heading out for a week of drinking and partying, I was heading out there for a different reason all together. I was heading out there to catch sharks. This was in no means a recreational visit “sunnin’ it up” in the Balearic Islands. The sharks I would be catching would be for the purpose of my Ph.D research into the spatial and trophic ecology of these rarely seen sharks (essentially where they are moving and what they are eating). 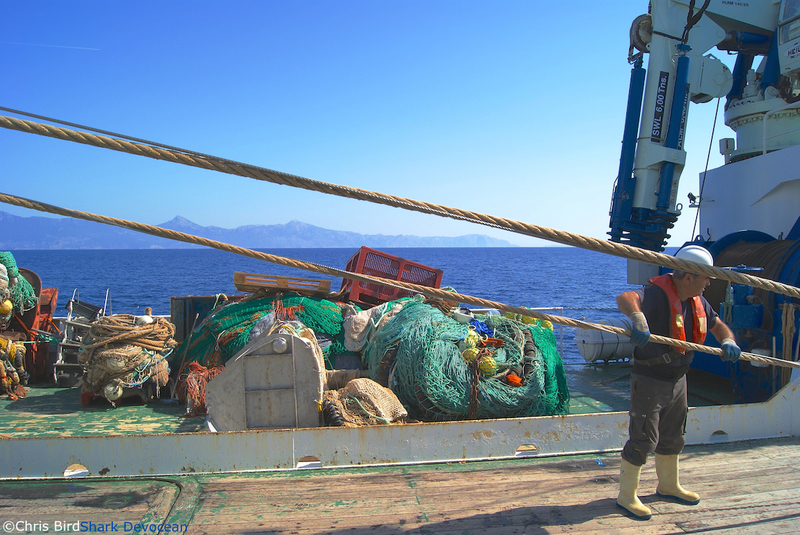 I would be joining the MEDITS project; an international bottom trawl survey in the Mediterranean. 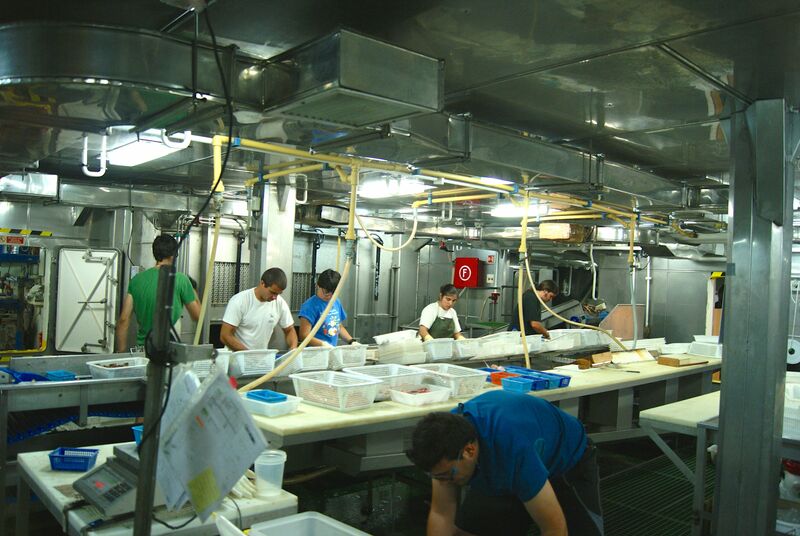 Operated by the Balearic Oceanographic Centre, which belongs to the Instituto Espanol de Oceanofrafia (IEO), this leg of the annual survey would evaluate the abundance and biological parameters of demersal fish, crustaceans and cephalopods between 50-800m depths. 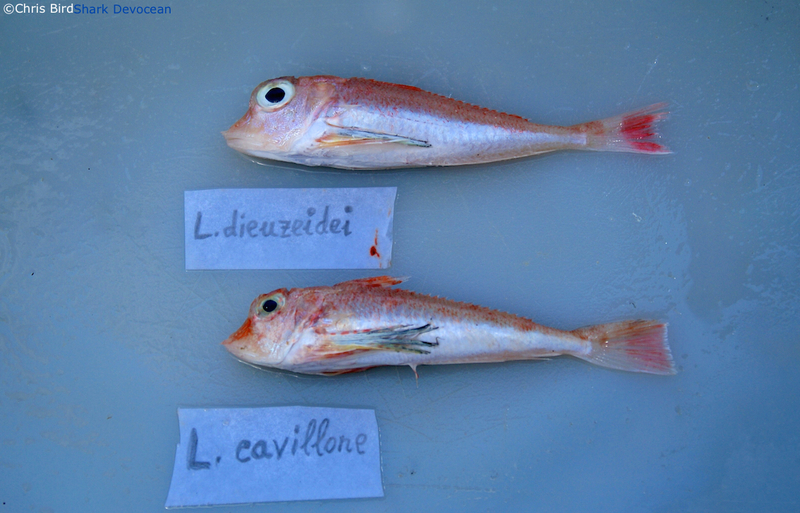 As most benthic and demersal fish stocks in this area are exploited at a national level, the research conducted by this programme is fundamental for the assessment and monitoring of fish stocks within the Mediterranean. Joining the boat R/V Miguel Oliver in Mahon, Menorca, I would be joining a diverse group of scientists from master’s students to established taxonomists. Whilst collectively we all contributed to data collection for the general program, some of us also had our own specialisms and secondary research initiatives. Initially we would sort each haul into groups of animals and then into species. 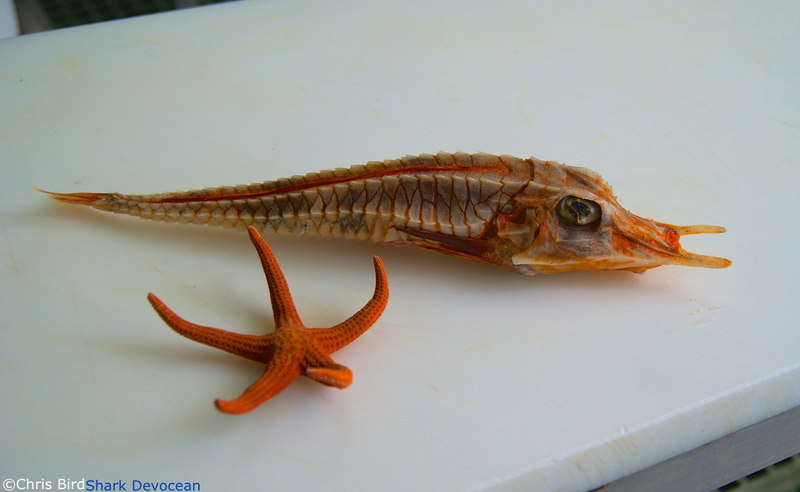 This was difficult for some of the smaller fish but I quickly learnt the “tricks of the trade” to help in identifying your spiny gurnard (Lepidotrigla dieuzeidei) from your large-scaled gurnard (L. cavillone). Once complete it was then my job to work up all of the elasmobranchs caught. 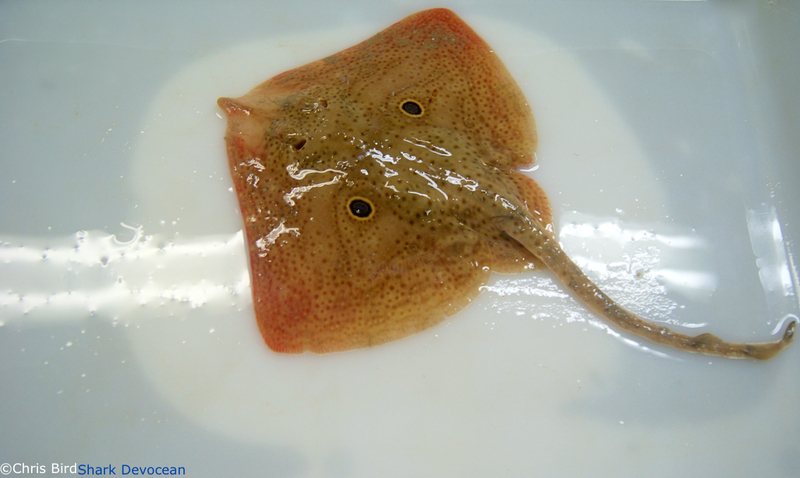 Working with another Ph.D student, we were assigned to identifying, sexing, weighing, measuring and assessing the maturity stage of every shark and ray caught. This was particularly difficult when some hauls caught in excess of 500 sharks. 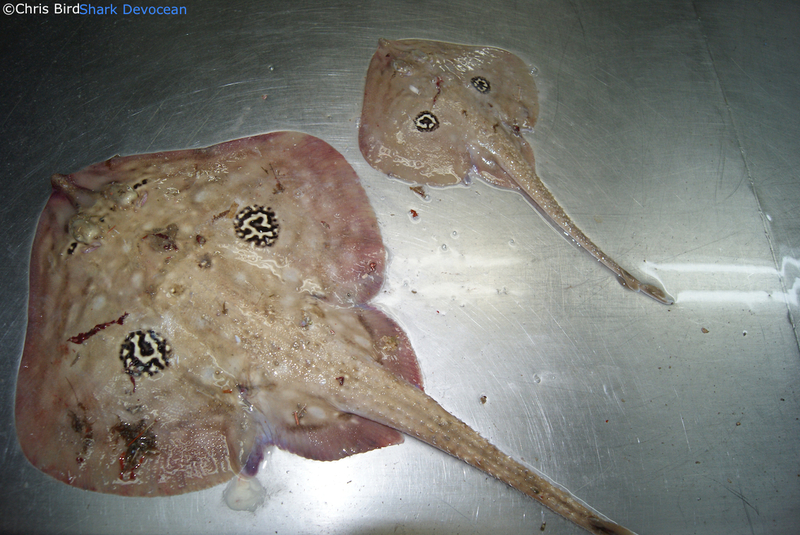 Whilst familiar with the sharks, I learnt a great deal from the handling and identification of the various ray species (rays need love too you know). Their diversity within a relatively small region was really quite fascinating. It did however reconfirm to me that the identification of different species was blooming difficult! They were exceptionally beautiful but in some cases almost indistinguishable due to high degrees of variations within species. 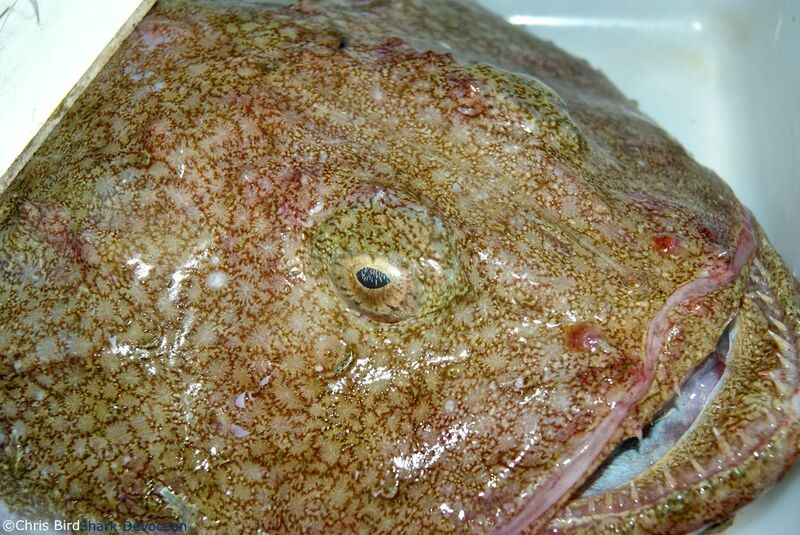 It is easy to see how the historic record of ray catches within commercial fisheries is sometimes patchy and most species caught are lumped together as just “rays”, obviously a system that needs to change. Later this week, in the second part to this update, I will introduce you to the sharks we caught on this survey and also learn a little more about them. If you have any questions about my work or this trip, please ask away. If not, I’ll see you next time.